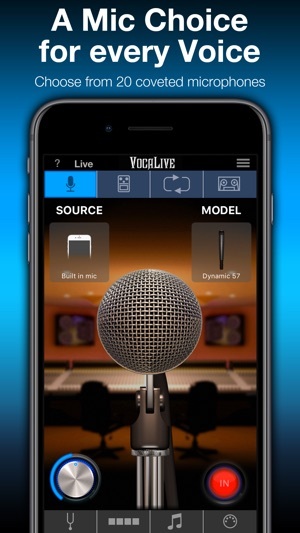 VocaLive provides singers and vocalists with a suite of 12 real-time professional vocal effects, along with a range of tools to help you practice, sing and record. The effects can be combined into a chain of 4 processors and saved as presets. 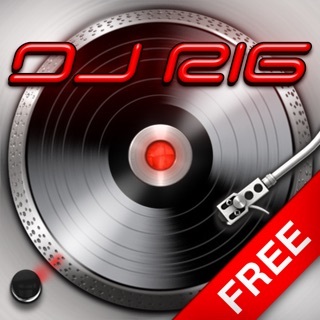 A collection of 55 presets is included to get you up and running immediately. 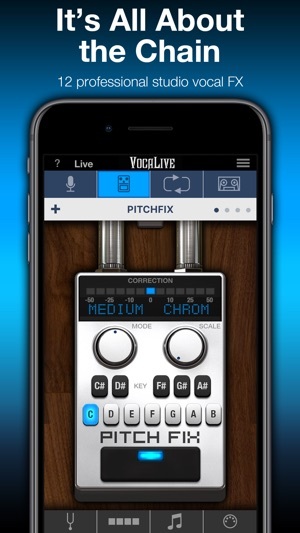 VocaLive for iPhone includes 12 vocal effects: Pitch Fix (for tuning or stylized FX), Choir, Morph, Reverb, De-Esser, Delay, Parametric EQ, Compressor, Chorus, Phazer and Envelope Filter plus a vocal Double effect available via registration. Together these effects provide unparalleled creative processing power. With VocaLive you can process your voice, sing along to any song in your iTunes Music library — its Voice Cancel feature lets you remove existing vocals — and warm up with helpful vocal warm-up tools. 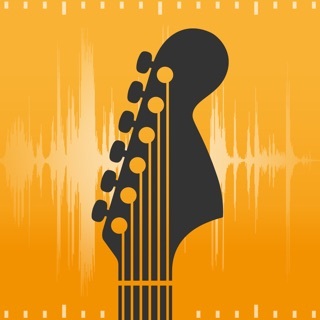 Use the new 2-track recorder to sing over backing tracks, or expand the studio section (available via in-app purchase) to record whole songs. With the optional Mic Room feature, VocaLive also gives you the sound and color of 20 classic and modern studio microphone emulations, for even more control over your vocal tone. Ready to perform? 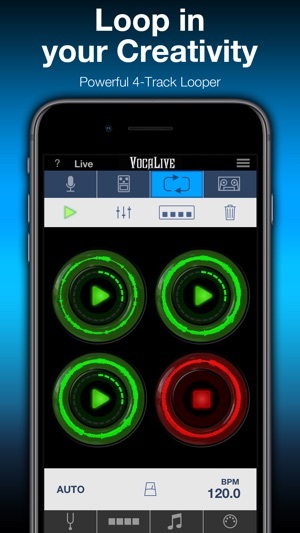 VocaLive’s new Live Mode offers an optimized GUI specifically for live use. See your entire chain at a glance, with all the settings and controls you need in an easy-to-read format designed for the stage. 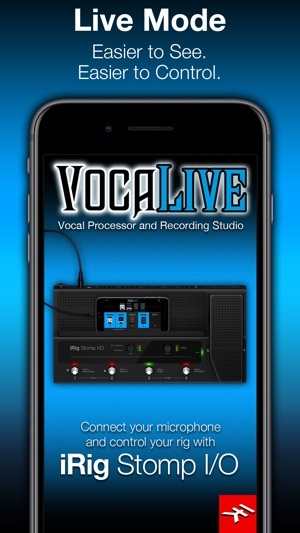 Plus VocaLive offers an optional 4-track looper to easily create songs, harmonies and more on the fly. For best quality, use VocaLive with IK’s iRig Mic range of microphones, from handheld to studio condenser mic. Or connect your favorite 3rd party mic using our iRig Pre interfaces. 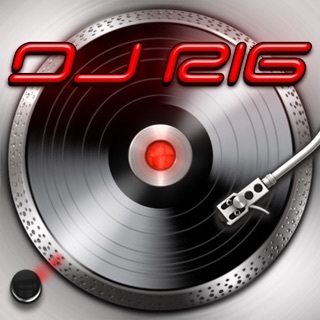 But you can also have fun with it and record quick ideas using the built-in microphone on your iPhone or earbuds. Control your virtual rig just as easily as you would a traditional vocal multiFX with new iRig Stomp I/O integration, so you can change presets, control effects and more right from your feet. Or go wireless with iRig Blueboard, a wireless Bluetooth controller for basic control on the go. 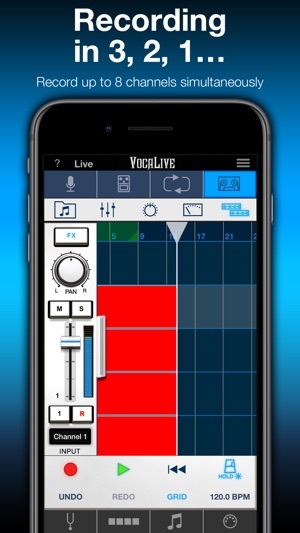 VocaLive also supports Core Audio and Core MIDI so you can use any compatible third-party interface or MIDI controller, and Audiobus and Inter-App Audio compatible, letting you use it alongside your favorite recording or songwriting apps. 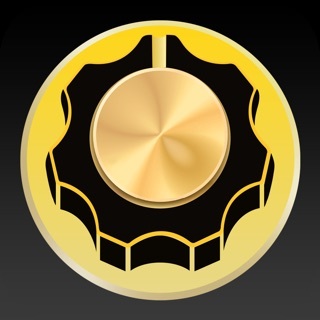 IMPORTANT: AmpliTube users can add the effects processors from VocaLive to their AmpliTube app using the “Restore my purchases” option in the in-app menu.